Stress, most psychologists agree that some is good, providing you don’t get more than you can handle. These exercises can help you handle the stress that’s part of your busy and productive life. Inhale deeply, feeling your stomach expand. Hold your breath for a few seconds. Then, slowly exhale, visualizing tension leaving your body. Close your eyes and mentally follow your breathing. As you exhale, mentally repeat a simple or soothing word with each breath. Or, visualize a peaceful scene. Do this for at least five minutes or, for more benefit, up to 30 minutes. 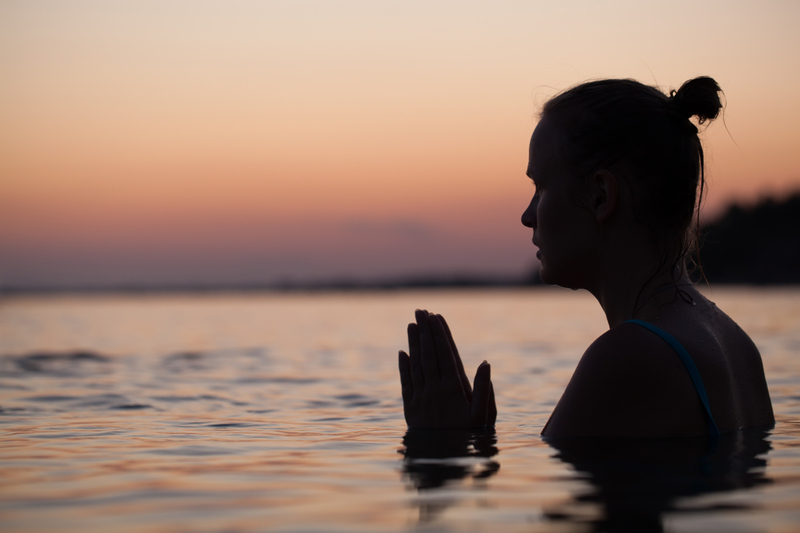 Recent research has shown that women may meditate more effectively if they are in movement. In walking meditation use the experience of walking as your focus. Become mindful of our experience while walking, and try to keep your awareness involved with the experience of walking. Find a quiet place to walk for about 20 minutes or so, and begin by just concentrating on your feet and the sounds around you. Then you can expand your awareness to your calves, legs, etc. until you feel your body’s movement and energy as you walk, focusing on the energy that is you and connecting with the land, trees and air. Just laugh out loud or do something that will make you laugh, such as reading a joke book or watching a comedy on TV. While sitting or lying in a relaxed position, tense the muscles of your feet as much as you can; then, relax them and notice the difference in feeling. Tense and relax the muscles in your legs, arms, stomach, back, neck, and head, one region at a time. When finished, remain in a state of complete relaxation for a few minutes. Sit in a chair with your upper body resting forward on your lap. Slowly roll up, starting at the base of your spine, until your back is straight. Stretch neck muscles by tilting your head to the right and slowly rolling your head down and to the left. Repeat a few times in both directions. Sit with your shoulders relaxed. Use your right hand to massage your left shoulder and neck, working your way up to the scalp. Repeat, using the left hand for the right shoulder.